On this page you can find info about the sessions and sponsors that we had for the 2011 New York Techstravaganza that was held on March 18th, 2011. The following sessions are planned for the Techstravaganza. Not all of the sessions have abstracts and speaker bios. Windows 7 Deployment via Windows Deployment Services – image based deployment. Describe in detail on how to setup SharePoint 2010 for the enterprise, planning service accounts, server roles and services, different SharePoint functionalities, understanding limitations of various functionality. Special on User Profile Synchronization and My Sites. Nilesh is a Sr. SharePoint and Microsoft Solutions Architect. He has been working with SharePoint Technologies since 2003. He is the owner and Sr. Architect at NGenious Solutions, Inc. a Microsoft Gold Certified Partner specializing in SharePoint, Project Server, SQL Server and Reporting Services, Networking and Infrastructure and .Net Development. Nilesh is also the founder of the New York City SharePoint User Group along with Corasworks and Microsoft. He has also co-authored a book with multiple MVP’s: SharePoint 2007 – A Definitive Guide. Click here to visit his company information. Jason is a systems architect with a concentration in SharePoint Products and Technologies and its related Microsoft technologies. Jason has been working with SharePoint Products and Technologies exclusively since 2003 and has presented at major conferences across the United States. He is a managing partner of B&R Business Solutions, a central New Jersey-based firm specializing in SharePoint and surrounding technologies, infrastructure, real-time communications (OCS), and application development. He is currently the speaker committee chairman for the SharePoint User Group in New York City where he sits on the speaker selection committee. He has authored two SharePoint books, one for SharePoint 2007 and most recently for SharePoint 2010. He also contributes his SharePoint knowledge as a mentor for some of the popular forums (TechNet, Yahoo groups). You can visit his blog or visit his company’s web page. Information management has taken a significant leap forward with SharePoint 2010, and it’s not just for administrators anymore — everyone can get involved. Come to this session and hear how you can be a part of the fun. This session will go over what is new, and how it affects what you do. You will also learn how properly managing your information can dramatically help in the “findability” of information in SharePoint. We will cover such things as Enterprise Content Management, Document Sets, records management and metadata management. Chris is a 15-year veteran of the technology industry and specializes in all things Microsoft. He was introduced to SharePoint in 2001 while working for Microsoft services. Currently Chris is the a product manager for Metalogix on the StoragePoint product. Chris is a participant in, and advocate for, the SharePoint community, as well as a regular participant/speaker at SharePoint Saturday and other grass roots events. When he’s not twiddling with the latest gadgets, software and technology, you’ll probably find Chris on a bleacher cheering his budding baseball and gymnastics stars. Chris and his wife Sara have four kids and live in the suburban Chicago area. Kathryn is an independent software consultant in the NYC metropolitan area. She has been a SharePoint Architect for the last four years and has worked with Microsoft software in various other capacities for many years before that. She is the founder of the NYC SharePoint Developers User Group and recently presented on Business Intelligence in SharePoint 2010 at the NYC and Federal (Washington, DC) SharePoint Saturdays. Her recent clients include Microsoft, the United Bank of Switzerland and the New York Power Authority. She is presently consulting at McKinsey & Company where she is architecting and deploying SharePoint 2010 and creating BI SharePoint solutions. Carlos Valcarcel has been with Fast since March of 2007 and Microsoft since April 2008. In his current position as a Fast Technical Specialist he am responsible for supporting the Eastern half of the US for the Global Business Productivity Search Group.Carlos has been in software development since the mid-80′s working in financial services, insurance and technology. He has developed in C, C++, Java, J2EE, Spring, Eclipse and Python in various locations around the United States and Australia. During Carlos’ independent consulting days he gave talks on software development and distributed system architecture in the US, UK, Germany and France. In 2004 he wrote Eclipse Kick Start released by Sams Publishing. adoption both internally and leveraging popular Social Networking platforms for business usage. My background spans 12 years of supporting the unique demands of Federal and state government sectors. I am a US Navy veteran with extensive background in cloud services support and implementation, configuration management, process development, SharePoint backup and recovery, Enterprise Social Networking Governance, and third party apps and solutions integration into the SharePoint integration. My primary projects include supporting an initiative to establish Tennessee as the first SharePoint 2010 compliant state in the US. I also provide End User Support for multiple SharePoint implementations within the fast-paced, high pressure legal community in downtown Washington DC for the US Attorney General’s staff and related sections and components. I currently provide content for SharePoint Careers, which delivers career resources for today’s top notch SharePoint professionals. I discuss SharePoint Roles and Responsibilities, Team Building strategies, Governance and more. Come see why PowerShell is important in the IT Pro world. This session will dive into practical usage of PowerShell. Expect to see real world scenarios that will provide actionable examples you can start using right away. Brandon has been in the IT industry since 1994. He spent the early years as a PC tech and general fix-it guy for numerous companies. He started a consulting company in 1999 building, designing and supporting networks and Windows infrastructure. He offered Microsoft training as well. In 2000 he joined Microsoft as contractor for the Directory Services team (the first of several times). He joined Microsoft in 2002 as a full time rapid response field engineer doing mostly Directory Service support for companies in the northeast. In 2004 the onsite travel requirement became too much and since he didn’t want to move to Redmond he left for a finance firm where he is today. PowerShell is one of the most in-demand skills for an IT Pro, but what separates those who can quickly assasinate a task from those who stumble in the darkeness trying to find their target? The answer is an arsenal of quick techniques and weapons that master PowerShell scripters have in their bag of tricks. This session will take a beginner and intermediate PowerShell user and hand them the tools that will help them get to the next level. A series of quickfire tips, tricks, techniques, and methods will be talked about and demonstrated. Tome is a Windows engineer for a market-leading global financial services firm in New York City. He is the founder and leader of the New York City PowerShell User group, a cofounder of the NYC Techstravaganza, a blogger, a speaker, and a regular contributor to Microsoft’s Windows PowerShell forum. 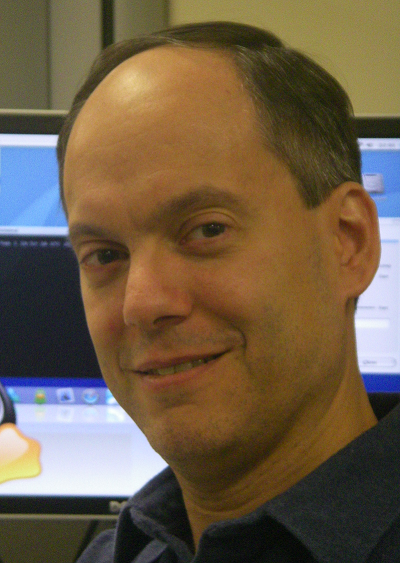 He is currently working on the PowerShell Bible, which is due out in 2011 from Wiley. Tome is also a recipient of the MVP award for PowerShell. We all know PowerShell is Powerful, but did you know it could also be Presentable? Learn how to rapidly build rich user interfaces in PowerShell to make your solutions easy for others to use. This talk will explore how scripted UI is possible in PowerShell and show you how to use it. See examples of rich user interfaces built in WPK and learn how to use scripted UI to it easy for everyone in your company to use the power of PowerShell. The PowerShell engine is loaded with debugging features built in to the product. This session will take a deep dive into what is available to help you trace down problems when they occur. Come and see why debugging is not just for developers. In this session we will discuss the latest release of Exchange Server and the new functionality that it provides. This session will cover Database Availability Groups (DAGs), additional storage possibilities in Exchange 2010, user segmentation and Role-Based Access Controls (RBAC), the new web-based Exchange Control Panel, new end user features like conversation view and calendar sharing, as well as what new features are available in SP1. 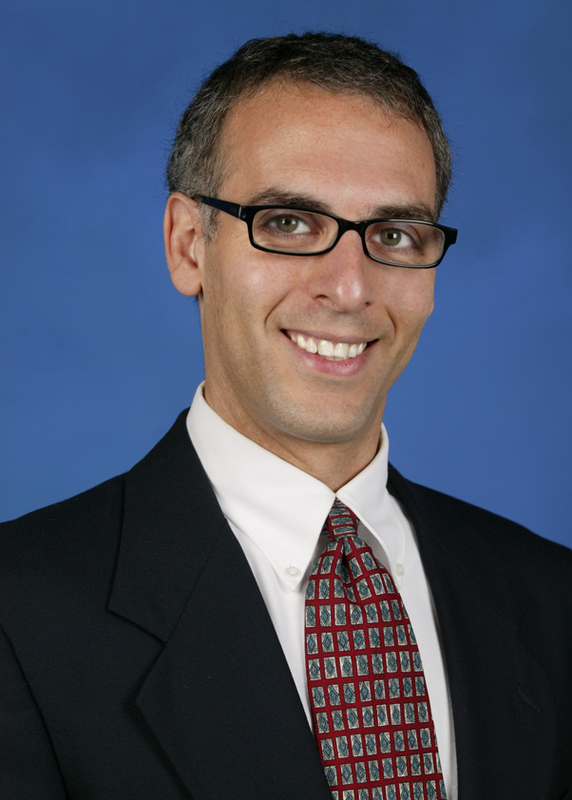 Adam Glick is a Senior Technical Product Manager with Microsoft’s Exchange Server group. He’s worked at Microsoft for over nine years working on Internet platform and communications technologies. Adam spent six years working on the engineering side of the business before he moved to Technical Product Management. Adam has a Bachelor’s Degree in Engineering and a Masters of Business Administration. 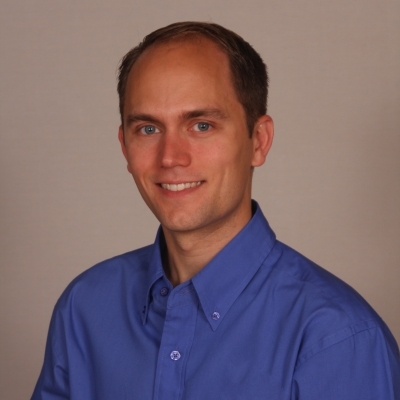 Adam currently focuses his time on Exchange Server planning, execution, and communication and specializes in the areas of mobility (Exchange ActiveSync) and Unified Messaging.